It may not remain hidden from attentive readers, that something about this homepage changed: it is now called “FORAREX”, not “FORALEX”. ARE WE FORAREX OR FORALEX? Indeed this is confusing, because the answer is: we are both. As you can see on the picture, we are pursuing a short-term goal with FORAREX. FORAREX is a valuable and necessary step on our way to the International Space Station and FORALEX. We are concentrating on this project at least until the rocket launch of the REXUS-programme in one year. During this time period we are appearing as FORAREX. Nevertheless, we are keeping our long-term goal in mind. The centre of FORAREX is the rocket flight during the REXUS/BEXUS programme and the investigation of the consequences of short-term micro gravity on foraminifera. A rocket flight brings new challenges – for the organism but also for the design of our experiment. The electronics, mechanics and the software have to resist vibrations, high velocity and the distance form earth. We need to consider special risks. The foraminfera are going to experience stress during the flight, which is important. All of this aspects have to be evaluated before we are even able to begin with the planing of a long-term investigation on ISS. Our long-term goal is to investigate the consequences of micro gravity over a period of several weeks (not just several minutes as on the rocket flight). If you want to know why we think that this is an interesting topic, you can have a look here. Until rocket launch we are working flat out on FORAREX and appear under this name. 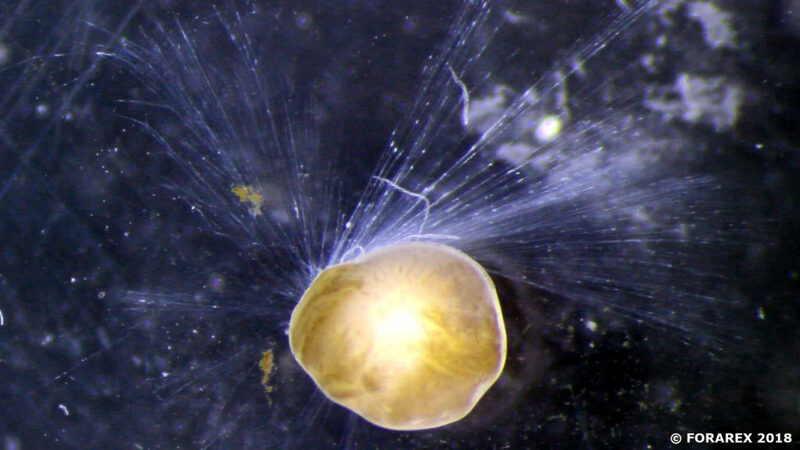 But on a long-term basis we are pursuing the goal to investigate foraminifera over a longer period of time with FORALEX.